ONE Riverfront earned it's name from East West Partners because it's at the center of everything in downtown Denver, and The Park | ONE Riverfront takes the development to an even higher level. Located in Riverfront Park, The Park | ONE Riverfront offers 18 stunning new loft residences overlooking either Commons Park or Downtown Denver. 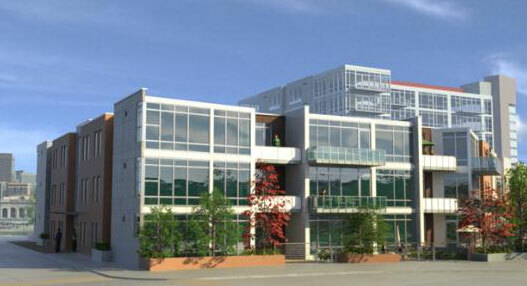 The city views will be preserved indefinitely as this development lies directly in the Union Station 'view corridor'. 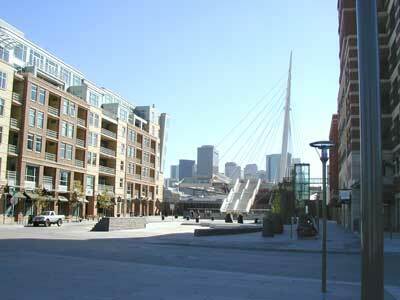 From this location, it's an easy walk to the Plaza and retail shops, or across the street to Glass House and the new Riverfront Athletic Club, only accessible to Riverfont Park residents. 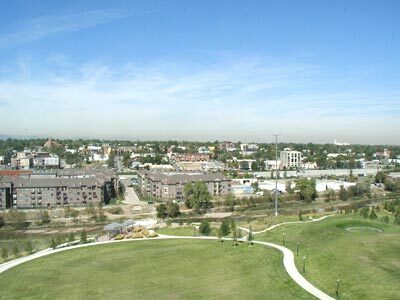 Out the front door is Commons Park with miles of walking & biking trails along the Platte River and over the Millenium pedestrian bridge is historic Lower Downtown Denver (LoDo), with its endless array of restaurants, pubs, museums and cultural performances. Designed by 4240 Architecture, the building exterior features and abundance of glass, ultra modern design, and it's own private outdoor park. Everything at The Park | ONE Riverfront - from the interior design to landscape to windows and cabinetry - is being designed and constructed by professionals who specialize in their specific fields. Loft residences from 1600 - 2200 sq. ft.
Mahogany decked courtyard and a private park for exclusive use of ONE residents.